Joseph Koech (154) leads fellow athletes during the Safaricom Athletics Series Kisii half marathon. Koech went ahead and won the race in 1.04.39 ahead of Edwin Mokua who finished in 1.05.18 in last year's edition. The 9th Edition of the annual Safaricom Kisii Half Marathon is scheduled to take place on Friday, 10th August in Kisii town. Kenya Telco giant, Safaricom has given KES 1 Million towards sponsorship of the event which is part of this year’s Safaricom Athletics Series, and their continued support of sports events in the country. Over 400 athletes from across the country expected to take part in the competition. Current defending champions, Philes Ongori and Joseph Koech will star the line-up as they battle other star athletes this year’s title. Former champion Grace Momanyi, Teresa Omosa and Mully Half Marathon champion Sammy Nyokaye are some of the athletes expected to participate in the event. “Preparations for this year’s race are in top gear and we are hoping to have a good turnout. 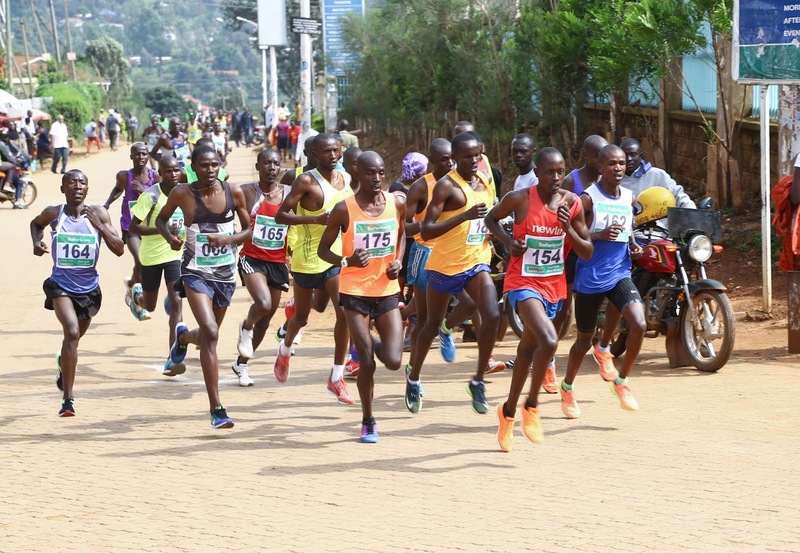 This marathon has grown over the years and has given local athletes a platform to discover their talent,” said Peter Angwenyi, Athletics Kenya, South Nyanza Chairperson. “Over the years, the marathon has yielded international athletes like Wesley Ochoro, Ruth Bosibori, Grace Momanyi and Edwin Mokua among others. This is why we are proud of associating ourselves with this marathon and hope to see more athletes being discovered,” said Charles Kare, Acting Director, Consumer Business, Safaricom. The winners will walk away with KES 100,000 each while the first runners-up will receive KES 50,000 with third place finishers getting get KES 30,000.